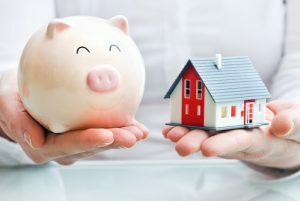 If you are purchasing a property, whether it be your first home or an investment property including a licensed building and pest inspection as part of the buying process can save you thousands of dollars in the future. An inspection can be requested by either the seller or the buyer and ensures that any problems are identified before the property ownership is transferred, allowing the buyer and seller time to negotiate the repairs. What Does A Building Inspection Look For? The inspection of an existing building closely examines the exterior and grounds, including any additional outbuildings on the property, as well the interior and foundation in search of any major defects to the property. A new construction inspection ensures that the construction of the building is of good quality and meets all local and national codes as well as conforming to the design plan. Adding an inspection to the purchasing process will give you peace of mind that the building you are about to buy is structurally sound and not in need of major repairs that can be a surprise after you move in. Why is a Building and Pest Inspection Important? As buildings begin to age, often problems develop resulting in either minor or major repairs. Many problems are overlooked by someone that is not trained in building inspections as the issues are not always extremely apparent. 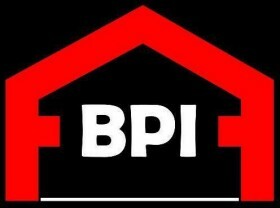 Requesting a certified and experienced building inspector can alleviate the problem of building issues going unnoticed. An inspector will check for problems such as termite damage, foundation cracking, and weakened concrete along with faulty wiring and plumbing. While some of the problems discovered by an inspector may be minor and can be easily repaired, other issues could cost thousands of dollars to fix. Having the building inspected before finalizing the purchase can save you this added expense which can be negotiated off the sale price of the house. Are Cracks a Sign of a Bigger Problem? As you evaluate the building you are wanting to purchase, you may notice a variety of cracks in different places. Cracks can become present on the exterior and interior walls of a building, or along the sidewalks, foundation and support beams. Wherever the crack occurs, the result could mean multiple things such as: use of substandard materials, poor workmanship, or just the building settling over time. Though some cracks are harmless, others could mean major damage to the building and could lead to either the floor, ceiling, walls or roof collapsing. By requesting a building inspection, the cracks can be evaluated by an experienced professional and can determine whether the cracks need repair or are a sign of any structural problems. Water damage in a building can be a cause for major concern. Untreated damage can not only damage the floor and furnishings, but can also weaken the walls and roof along with causing dangerous mould to grow. If you notice stains on the walls or ceiling of the building or see a leaking tap or pipe, it could be sign that there is water damage present. Though some water damage can be spotted easily, extensive damage can be hiding where it isn’t so easy to see such as under the floor or even behind walls. Rising damp is another issue which can cause a lot of damage to a building, costing thousands of dollars to repair. Damage can occur due to degraded or improperly installed vapor barriers which allows moisture to enter the foundation and walls of the building. As the water begins to evaporate, salt is deposited and will build up, trapping more moisture within the building. Over time, mould will develop within the structure and the walls and flooring will begin to deteriorate due to the saturation of moisture. Not only can the building structure become weakened, but the moist conditions attract termites and other pest which can cause even more structural damage. Inspectors use special equipment such as thermal cameras to search for water damage or potential leaks and any effects of rising damp, even in hard to find places. In Australia, the leading cause of damage to a home is is due to termites and pests. Termites destroy wood from the inside out which causes the damage to not be easily visible. There are various ways termites can enter a building such as wet ground soil, weep holes in bricks, flooring supports, and poorly installed wood posts in decks and pergolas. Once termites have entered a property, they could attack any wood associated with the roofing, walls, windows and doors. However, timber is not the only thing at risk during a termite infestation, some varieties of termites also feed on electrical wiring and cables as well as plastics, causing a devastating amount of damage. To ensure that you do not purchase a property with significant termite damage or a pest infestation, you can request a pest inspection along with your building inspection. You are allowed to be on site during the inspection and can meet with the inspector before and after the inspection to ask questions and go over any concerns. During the inspection, the inspector will evaluate all accessible parts of the property, including the foundation and any outbuildings on the property, to check for termites, structural, or water damage as well as ensure that all plumbing and electric is working properly. • Summary of the overall condition of the building, including age. • A list of areas inspected and not inspected along with why. • A list of defects issues discovered along with photographs (if required). • If an issue was found: a recommendation for repair or further inspection by a specialist such as a structural engineer.